Morristown, Tennessee's 2019 European Car Show! 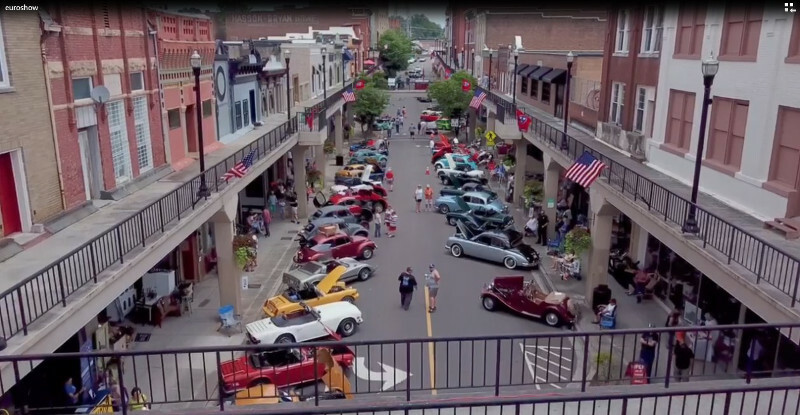 Morristown, Tennessee's ANNUAL European Car Show! Organized by the the East Tennessee MG Drivers Club, this show is open to all European cars and motorcycles from France, Spain, Germany, United Kingdom, Italy, the Netherlands, Sweden and the Czech Republic. The show will be held at Fred Miller Park, 441 W. Morris Blvd, Morristown, Tennessee, June 1st, 2019. This location is convenient to restaurants, antique stores, with live music and food venders on site. Our first show was held in 2015 and after a great turnout with many car entries and visitors, our second show was held in 2016. Both past shows boasted many interesting cars from different European countries. 2019 will mark the fifth successful year of this show. Proceedes from the show will be donated to charities including the Daily Bread Community Kitchen. Established in 1993 by Hobe and Sue Williams, the Daily Bread Community Kitchen serves over 8,000 meals per month with the assistance of volunteers and much of the food is provided from local gardeners. Anyone who is hungry is welcome to eat, no one is turned away, and volunteer help is always welcomed. The Daily Bread is located at 118 S Cumberland St, Morristown, TN, 37814. Please consider the donations of goods and/or services to be sold in our silent auction for this worthy cause. Contact information for club officers is included in the show flier, of which a link is provided above. Thank you for your consideration and we look forward to seeing you at another successful show.